Huawei Honor 8 Pro launched in April 2017. It came with pre-installed Android 7.0 Nougat operating system out of the box and this month, the company released the Android 8.0 Oreo OS firmware update to the Honor 8 Pro users, officially. 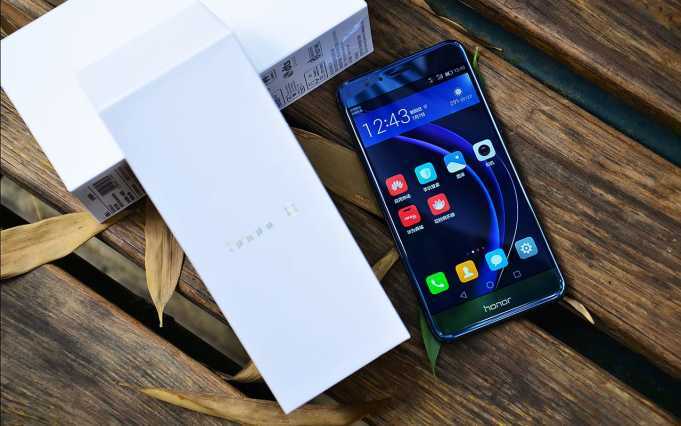 Here in this article, we will guide you hot to root Honor 8 pro smartphone and install TWRP Recovery on it, running on EMUI 8.0 based on Android Oreo. The Honor 8 Pro came with 5.7-inch LTPS IPS display with 1440 x 2560 pixels of resolution and 16:9 aspect ratio. It is powered by Dual Quad-core HiSilicon Kirin 960 processor under the hood along with Mali-G71 MP8 GPU. It has 4 GB RAM and 6 GB RAM variants and both have 64 GB internal storage on board. The phone is featured with the dual 12-megapixel camera on the back side along with f/2.2 aperture, phase detection and laser autofocus, dual-LED dual-tone flash, Geo-tagging, touch focus, face detection, HDR and panorama. For selfies and video calls, it has an 8-megapixel camera with f/2.0 aperture. The phone is packed with Non-removable Li-Po 4000 mAh battery and also support Fast battery charging feature. It has a fingerprint scanner on the backside. If you have Huawei Honor 8 and updated it to Android 8.0 Oreo based on EMUI 8.0 skin and want to root access, then you are at right place. Follow the article, step by step to root Honor 8 Pro and install TWRP Recovery. If anything happens to your device during the process, we will be not responsible for anything. So proceed at your own risk. With the help of root access, you can uninstall/remove pre-installed by your network provider or by the manufacturer. Rooting also increases the battery life of the Smartphone because those running always can be removed. You can change or customize more your device. This tutorial is only for Huawei Honor 8 Pro running on Android 8.0 Oreo based on EMUI 8.0. Don’t try it on others devices. Make sure you have installed proper Huawei Honor 8 Pro drivers on your PC or Laptop. Go to Settings > About phone > Click EMUI version 7 times. The guide involved in flashing a custom recovery, ROMs and rooting your device is highly custom and may damage your device. Also rooting your device will void your device warranty and you will be no longer eligible to take it to the service center for a free repair by the manufacturers/warranty providers. Make sure that whatever you do, you are doing it at your own responsibility. Download the magisk-root.zip file from the above download section and extract it. After extraction, you will find two another Zip file, magisk.zip as well as a TWRP image file. Now transfer the magisk.zip file to your device internal storage or external storage. Now transfer the TWRP Recover Zip file to the ADB and Fastboot folder. Now write the following command in command prompt, if a popup comes on the screen of your device, tap on ok.
Write the following command to boot your device into fastboot mode. Now, write the following command to know fastboot drivers are installed properly on your PC or Laptop. Download the fstab-decrypt.zip file and transfer it to your device internal or external storage. Now reboot your phone into TWRP recovery mode by press and hold power and volume button simultaneously for some time. Use Volume Up and Down keys for navigation and Power key for confirming an option. Now, tap on the install and select the fstab-decrypt.zip file and flash it. After process complete, flash magisk-root.zip file. After process complete, go back to the main menu and reboot your device. That’s it. Now your Honor 8 Pro running on Android Oreo based on EMUI 8.0 is rooted.